You can find out a lot about us by first reading our company’s guiding principles. We established these years—no decades—ago. Our goal: to put into writing what our business was all about, creating a focus for ourselves in our business life. Our guiding principles were also inspired by Johnson & Johnson’s response to the 1982 Tylenol scare. James Burke, CEO, stated that their Johnson & Johnson Credo guided them through such difficult times, and we believe this was an exemplary response and a profound lesson for any business. Please do read our guiding principles, but they can be summed up as our company striving to preserve and promote the artisanship of creating Custom Soft Goods, focusing on that so that we will be the best at it and following the golden rule while doing it. That being said, we recognize that we can’t be all things to all people, and we can’t spread ourselves too thin trying to be a “jack of all trades”. As it is, the business we are in requires managing a lot of different products and skill sets! But the important thing to you, our customer (or prospective customer), is that we are here for you to focus on what we do to provide you the best in Custom Soft Goods and to make the experience of designing and seeing your design become real just as positive and motivating and enjoyable as possible. But let’s be frank here: there are a lot of great things about custom soft goods...but there also can be a great deal of frustration in the details required for the process. We know you have a choice when it comes to sourcing your custom soft goods, so why choose us? Experience. We’ve been at it since 1985. At the time, we did retail along with wholesale manufacturing. We shut down our retail side by 1990 so that we could focus on manufacturing. But our past retail experience left us with knowledge of the challenges you face on the retail side of custom soft goods. Focus. We don’t sell fabrics (except linings), we don’t install, we don’t sell hard goods (mini blinds, shutters, roller shades, etc. ), or hardware. Instead, we’ve focused on being the best COM (Customer Owned Material) workroom, with consistent quality, reliable customer service, and custom soft goods you can count on to complete your client’s interiors. Respect for the skill of our artisans. 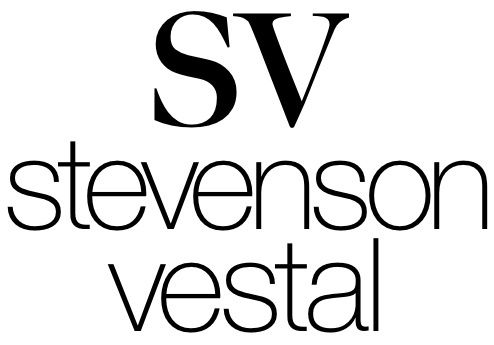 Many of us at Stevenson Vestal have over thirty years experience in custom soft goods! We have lived through the time when sewing skills were very common—although that’s not to say that highly-skilled tailors and guild members were plentiful or thought of as doing something many could do...but today is different. The ability to sew is now rare. And the ability to sew at the level of an artisan?—extremely rare. We were the first company in this business to recognize that for custom soft goods to continue to be available to those consumers who want them, we must have a high degree of respect for the artisans who create them and rather than simply expect them to sign up when we need additional help, we have to seek out creative, hard-working people and cultivate the artisanship within them. Thorough communication tools. Many years ago—and mostly through the school of hard knocks!—we learned how important communication is in the world of Custom Soft Goods. We then set about developing streamlined, efficient, yet informative, communication tools that make your life easier. And we think of our communication tools as something we can continue to develop and improve upon every year. Personal touch. When you call us, you’ll speak to your dedicated Customer Service Representative. This will make us feel local to you, even if you are out on the West coast. You will get to know your customer service representative and your customer service representative will get to know you. This is a no-brainer here, but this helps immensely in facilitating communication, avoiding unpleasant surprises, and creating a great experience both for you and your customer. We are a vast Custom Soft Goods knowledge source. As mentioned above, we’ve been at it for many years. The company was actually founded as Smith Draperies in 1962 and became Stevenson Vestal in 1985 when purchased by Dave Stevenson with his partner at the time Bill Vestal, so we’ve been around the block a few times and seen the challenges, gotten the bruises, recovered from them and experienced the great satisfaction of seeing a beautiful Custom Soft Good product come into being. Trendy information. Every year we publish a new catalog. And before we publish it, we think about the last year and what we’ve learned. We study what we’ve made, and what we’ve made less of. Then we share this information with you. This information is another valuable source for you in designing custom soft goods into your customer’s home. We also love to share product images online, with active social media pages on Facebook and Instagram. We look forward to connecting with you, and if you don’t already have an account set up with us, visit the contact page on our website to find our account application or general inquiry form. Our office staff is also available Monday through Friday, 8 AM-4:30 PM, at 800-535-3636. We’re so excited to have the opportunity to work with you and can’t wait to bring your Custom Soft Good designs to life!